Finding the best setting for child care is crucial but often difficult for parents. Not only do they have to decide who should care for their children, they also must consider where the care will take place. Do you bring the kids to a daycare center, or do you hire a nanny? 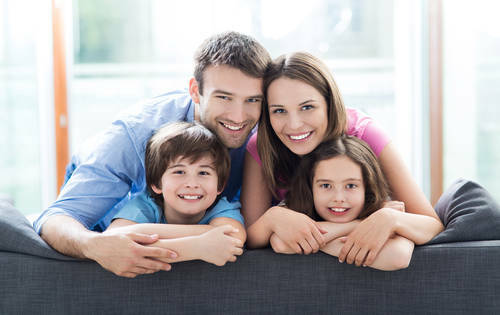 The best choice for today’s modern family depends on numerous factors. A daycare center places kids in a setting where they will ideally have mental stimulation, opportunities for physical play, exposure to other children, and other assets of a group situation. A quality commercial facility will have age-appropriate toys, games and activities, with some separation of children by age. Many modern daycare centers also have cameras so parents can check on their children and the activities at the facility. One potential disadvantage is that the larger setting means less caregiver-to-child interaction than you’d get with a nanny. You may wish to check out licensed home daycare centers, where you’ll get both a home setting and opportunities for socialization. • Determine whether the center has met all state requirements, including filing paperwork. • Check caregivers’ references and talk to other parents who have used the center. • Ask for some trial runs with your child to determine his or her comfort level. Hiring a good nanny for your children ensures plenty of one-on-one connection within the familiarity of their own home. 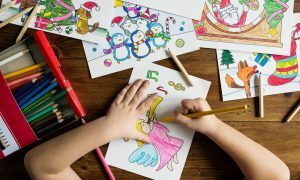 Whether she lives in the home or comes in for the day, the nanny will fulfill many of the functions of parents, such as meals, reading, art activities, visits to parks and libraries, and more. Children with special needs, such as sight or hearing impairments, developmental disabilities, or other health issues, can thrive with nannies who are specifically prepared to address these issues. When looking for a nanny, you’ll want to conduct interviews and hold several in-home sessions in which you can see your favorite candidates interacting with your children. You’ll also want to check references, do background checks, and ensure your candidates have worked with children in the age range of your kids. Communicate with candidates to ensure they have skills where necessary, such as driving experience, water safety training and CPR certification. While a nanny can be a great choice for families who want their children to feel comfortable in their own homes, the lack of socialization can be a disadvantage. Trips to community activities such as library storytime events can help alleviate this. While the choice between a daycare center and a nanny depends on a number of factors, many modern families will pick the daycare center. Cost is a major consideration; while day care can be expensive, the cost of hiring a nanny will generally cost considerably more than using a daycare facility. These facilities also offer ample opportunities for diverse activities and experiences, and the children benefit from socialization that helps prepare them for school.